Database S-Base – SEIVA s.r.o. Comprehensive solution for cardiological practice. 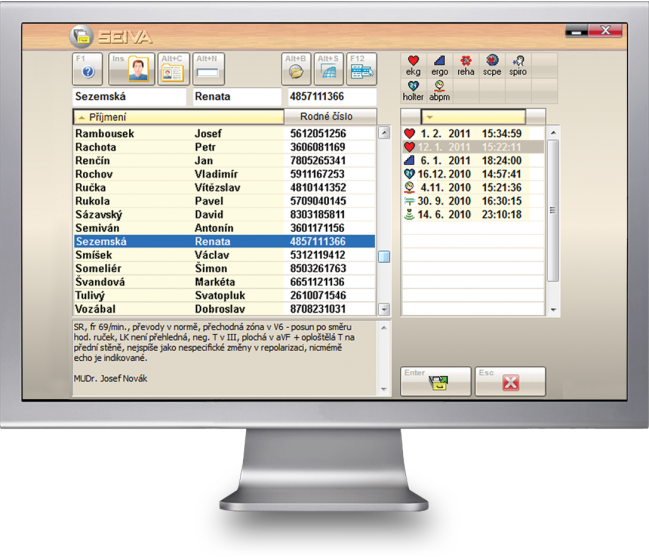 Diagnostic system SEIVA offers data sharing of device records between hospital staff within a computer network. The doctor reviews the recordings of the patients. Recordings of all examinations (ECG, Holter ECG, ABPM…) are stored in database available for review, print or futher manipulation at all the time. 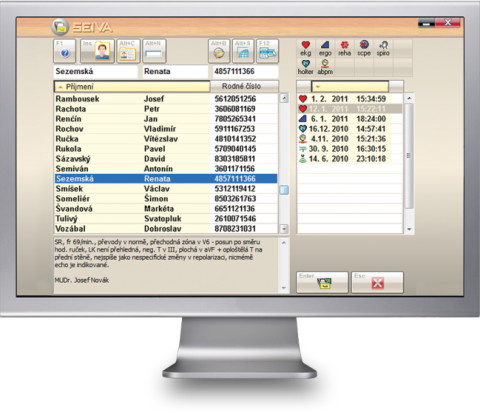 Doctor in the surgery consults recordings real-time with a cardiology specialist.